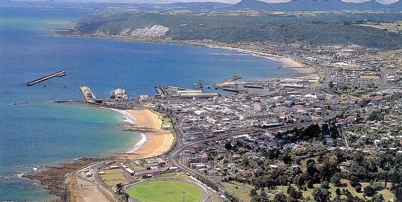 TERROIR commenced a relationship with the Burnie City Council on Tasmania’s North West coast in July 2008 when we were selected for the Burnie Makers Workshop, and iconic project for the Council and the region. Burnie is a port city originally settled in 1827 and is now Tasmania’s fourth largest city, largest general cargo port and Australia’s fifth largest container port. Burnie is an industrial city with a history based around papermaking, forestry and cheese-making. It is also the gateway to Tasmania’s west coast mining region. In recent years, Burnie has undergone a resurgence with new industries and an increasing tourist visitation. The Burnie Makers Workshop will be an important project in further developing Burnie’s resurgence and TERROIR appreciate the opportunity of working with such a committed and focussed local government. Following our introduction to the ambition and success of this Council, in late 2008 TERROIR sought inclusion on the Burnie City Council’s consultant register for future Council projects.